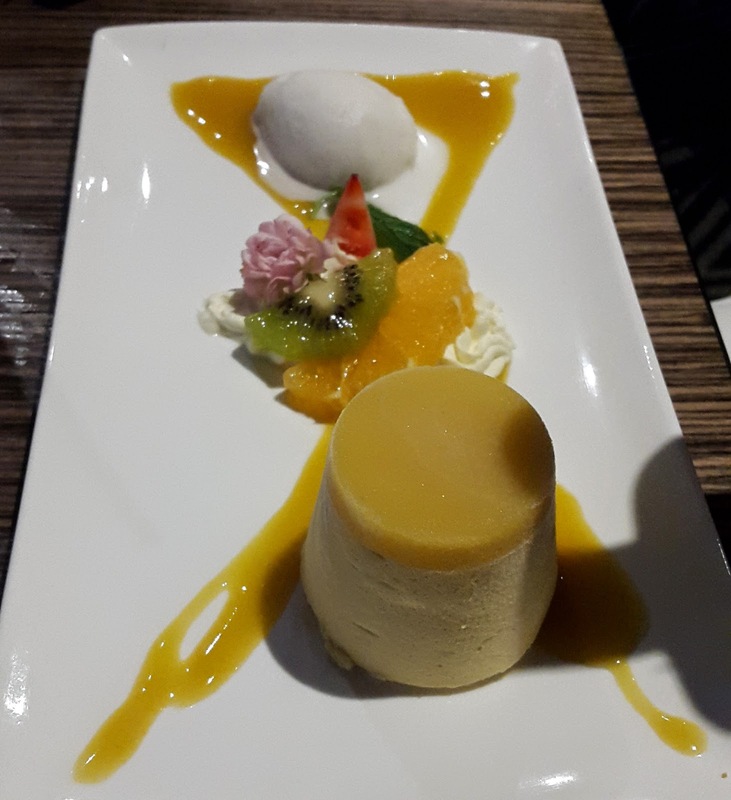 For our 'once every couple of months catch up' the girls and I went to the Lotus Bay Restaurant, which is part of the Canberra Southern Cross Club's Yacht Club venue in Yarralumla. The last time we were all here was for the Chef's Signature dinner, back in August last year which was a really fabulous night. Check out my review of that dinner. 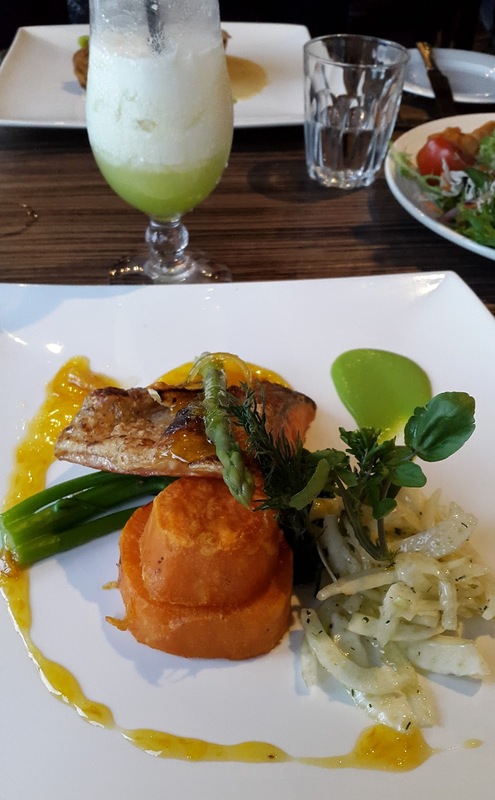 My friend Cheryl had last been to this restaurant on Australia Day, so she knew what their new summer menu had to offer. Jeanette and I had perused the menu online beforehand so we pretty much knew what we wanted! Starters for me was a cocktail - a Midori Splice. A very nice way to finish up the working week. 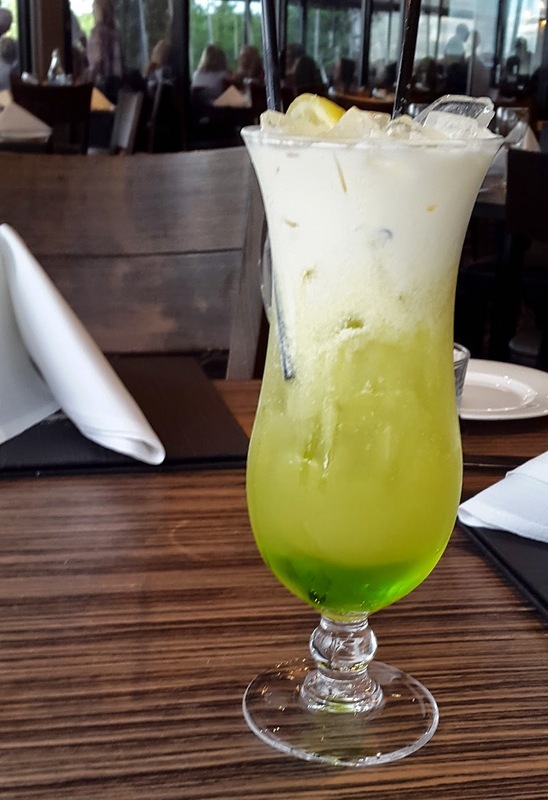 Malibu, Midori, pineapple juice and cream. Great tasting (like a liquid splice ice cream bar), and great value ($9). Next was the mains. We knew we all wanted dessert, so opted for main + dessert. Selected was beer battered flathead, chicken and prawn ballotine, and (pictured) pan seared Tasmanian ocean trout. We pretty much all cleaned our plates. Jeanette politely asked for a piece of bread (to sup up the lovely sauce on her chicken ballotine) and was presented with a dainty bread roll and butter - which was gratis (nice!). ...and my pick of the gelato. 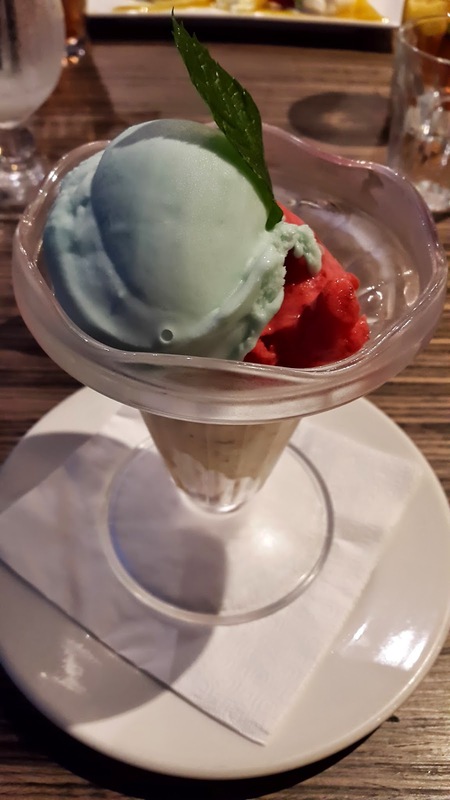 Three scoops in the one glass, which I would have preferred separated on a long plate, just so the flavours didn't meld together. The flavours for the night were: mint, raspberry, and toffee with walnuts. All the flavours though were very nice. 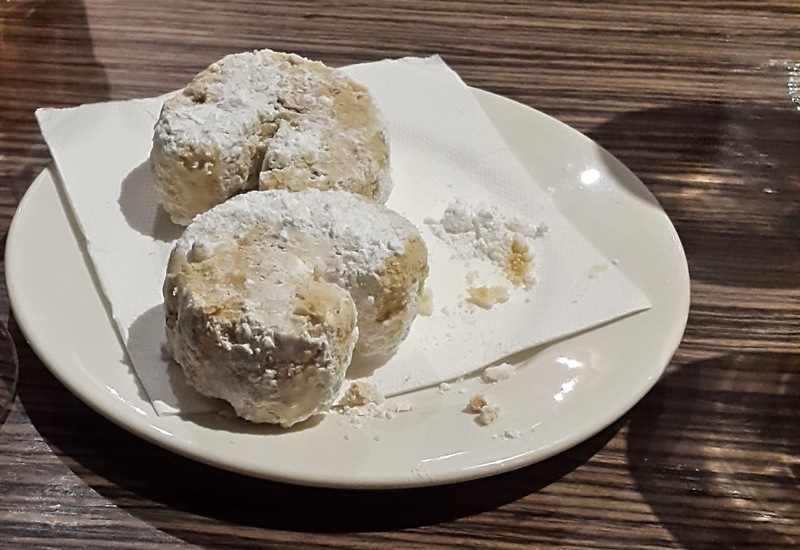 Coffee to finish, and batch of three horseshoe shortbread (also gratis!) to end the night. Check out their current summer menu. I've actually never been there for food - must try it asap! look yummy!